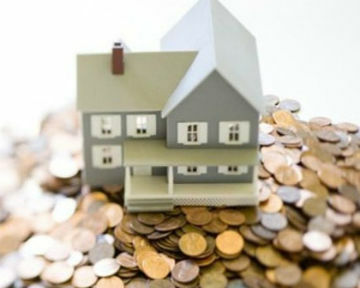 When you are planning to invest in a real estate in order to achieve a well-diversified portfolio, you should consult Your Personal Financial Mentor because he will guide you how to earn wealth on real estate based on the risk you are taking while reducing the time that is required to spend attending to the property. You should set your goal to get as close as possible to as many optimal scenarios as possible. Real estate investment is a great way to grow your wealth if it is done responsibly, with an understanding of tax implications, and with the conservative financing. When you are investing in a real estate market, you should put your investment to work today so that it can grow and make enough profits to cover the taxes you pay subsequent to tax preparation, the risk of investment and the cost of real estate investment, such as insurance and utility cost. Therefore, once you are familiar with the tactics of investing in the real estate, it enhances your analytical skills and helps you make wise decisions based on market trends. In a real estate investment, you take your money out of liquid assets, such as bonds and stock and invest it in a highly illiquid asset i.e. real estate. You usually earn a reasonable return on stocks, Certificate of Deposits (CDs) and bonds. Therefore, make sure that you earn fair cash on cash return on a real estate investment in order to compensate for the return you lost in liquid investments. You should buy properties with the positive cash-flow and should try to avoid prize properties that do not earn you decent returns. One of the most effective and easiest ways of investing in a real estate market is through a real estate investment trust (REIT). REITs are required to distribute at least ninety percent of the annual taxable income to its shareholders as a dividend but capital gains are excluded. You can participate in a multi-million real estate investment, such as buildings, hotels, malls and parking garages, by exempting firms from paying tax in exchange of distribution of 90% or more of the profit to shareholders as dividend. These investments can be held in IRA or brokerage account. Tenant in common (TIC) investments, development of real estate, fixer upper and private real estate funds are very risky as compared to a well established cash flow real estate investment. In the above mentioned investments, you may never recover your money because of their high risk profile. Therefore, consider taking the fee simple title in your name for the properties you buy. In a fee simple ownership, a buyer is given a title of the property and has a right to possess, dispose-off the land or use it as he wishes. He can also lease the real estate, trade it or pass it on to others when he dies. Moreover, you should also test, analyze and review reports and must do the proper due diligence to lower the risk associated with the real estate investments. You’ve nailed it, Eugene. When you invest in real estate you generally tie-up a significant sum of money to it and with more money invested in one avenue, comes more risks. Thorough due-diligence can help you identify the right property and make a sound investment decision.